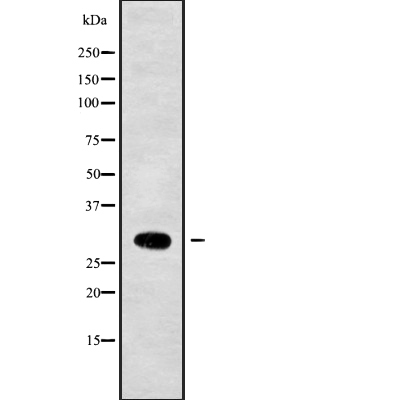 Small volumes of anti-NKX22 antibody vial(s) may occasionally become entrapped in the seal of the product vial during shipment and storage. If necessary, briefly centrifuge the vial on a tabletop centrifuge to dislodge any liquid in the container`s cap. Certain products may require to ship with dry ice and additional dry ice fee may apply. Function: Acts as a transcriptional activator. Required for the maintenance of NEUROD1 expression in the horomone-producing endocrine cells of the pancreas. May be involved in specifying diencephalic neuromeric boundaries, and in controlling the expression of genes that play a role in axonal guidance. Associates with chromatin at the NEUROD1 promoter region. Binds to a subset of consensus elements within the NEUROD1 promoter (By similarity). Subunit Structure: Interacts with OLIG2. Similarity: The homeodomain is essential for interaction with OLIG2. Belongs to the NK-2 homeobox family. NCBI/Uniprot data below describe general gene information for NKX22. It may not necessarily be applicable to this product. Transcriptional activator involved in the development of insulin-producting beta cells in the endocrine pancreas (). May also be involved in specifying diencephalic neuromeric boundaries, and in controlling the expression of genes that play a role in axonal guidance. Binds to elements within the NEUROD1 promoter ().